Bike & Walk Morristown board member Douglas V sends in this update from his trip to Maine. On our way back from Mohegan Island in Maine we stopped in Portland. 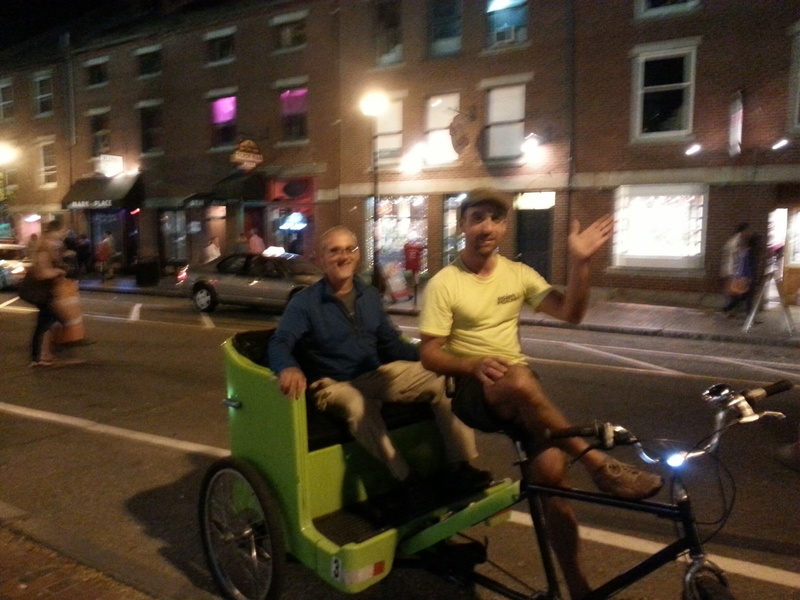 After a great pizza at Flatbreads we met Ivan from Maine Pedicab and had a tour around the old port. The ride was great fun & Ivan got a good workout – after all we had just finished an entire pie! 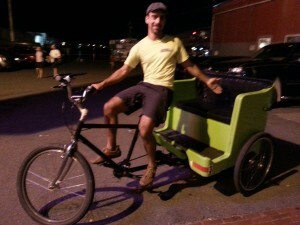 Now let’s figure pedicabs into Morristown’s bike plan.